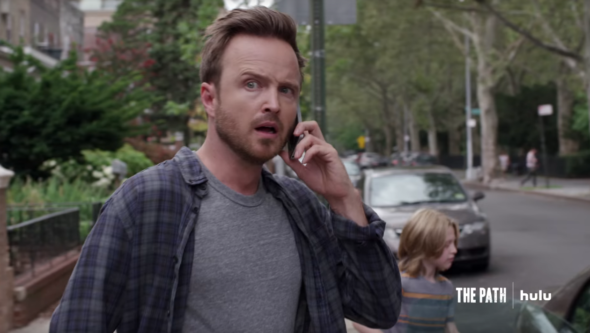 “It could collapse at any moment.” Hulu has released the official trailer for season two of The Path. The drama follows a family at the center of a controversial cult — The Meyerist Movement — as they struggle with relationships, faith, and power. The cast includes Aaron Paul, Michelle Monaghan, Hugh Dancy, Rockmond Dunbar, Kyle Allen, Amy Forsyth, Emma Greenwell, and Sarah Jones. Season two of The Path debuts on January 25th. What do you think? Have you seen season one of The Path? Will you watch season two? The Path is a great show…I’ve recommended to so many people to watch! Love Aaron Paul and the cast is great. Can’t wait until the 2017 opener! !